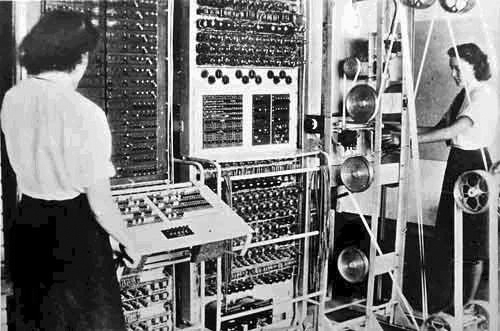 Flowers created Colossus, the world's first programmable electronic digital computer in 1943. 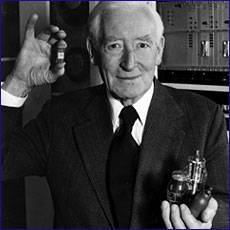 Thomas (Tommy) Harold Flowers, MBE (22 December 1905 – 28 October 1998) was a British engineer. During World War II Max Newman, Alan Turing, and other great minds at Bletchley Park codebreaking establishment, needed help to solve the encrypted German coded messages made by Lorenz cipher devices. 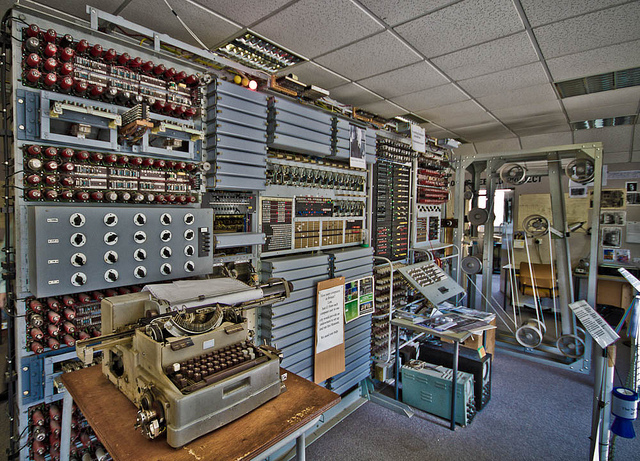 Bletchley called the devices TUNNY commonly referred to as Enigma. Flowers designed Colossus, the first true functioning electronic computer. Flowers was born in London, England the son of a bricklayer. He started his apprenticeship as a mechanical engineer but took evening classes to achieve a degree in electrical engineering. He joined the telecommunications branch of General Post Office (GPO) in 1926 and felt that the mechanical system used for the telephone exchange could be converted to an all-electronic system. This gave him good experience and working the mathematician Maxwell Newman they proposed an electronic computer system using 1500 Thermionic valves. Colossus could work at 5000 characters per second with an interval between sprocket holes of 200 microseconds. In this time Colossus performed up to 100 Boolean calculations simultaneously on each of the five tape channels. The Colossus was not used to decipher the Enigma. 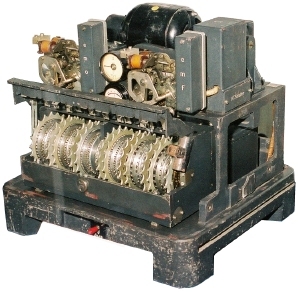 That was done with a machine called Bombe that was developed for Alan Turing by Harold 'Doc' Keen at the British Tabulating Machine Company (BTM) based on the work by the Polish version called the Bomba.